Window Energy Ratings (WERs) is a complex and technical subject but is important to everyone who is concerned about carbon emission, the high cost of fuel and energy conservation. We all naturally want to make our homes more energy efficient and therefore installing energy efficient windows in our homes is an important step we must take if we are to succeed in our efforts. Energy efficient windows help to contain and conserve heat within the home and are easily recognised because they carry a BFRC (British Fenestration Ratings Council) label that provide the relevant energy rating and other technical data for the respective window. 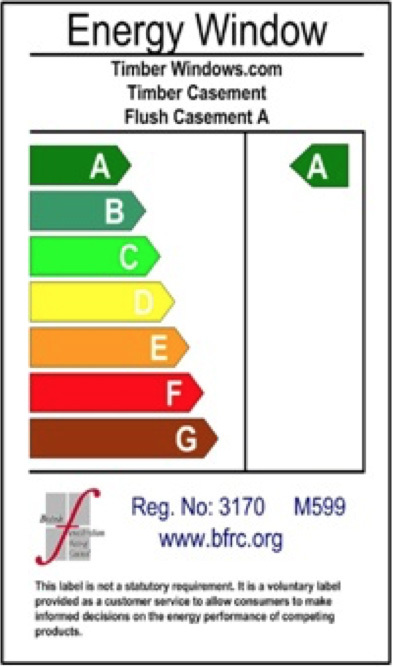 Window Energy Ratings use consumer-friendly traffic-light style A-E ratings. In simple terms WERs give purchasers of windows useful information as to the efficiency of windows so that they can make informed purchasing decisions. Homeowners who are keen to conserve energy and thus save money on their energy bills, can obtain “A” Rated Energy efficient windows from Elwyns Windows of Carshalton, Woldingham and Surrey.